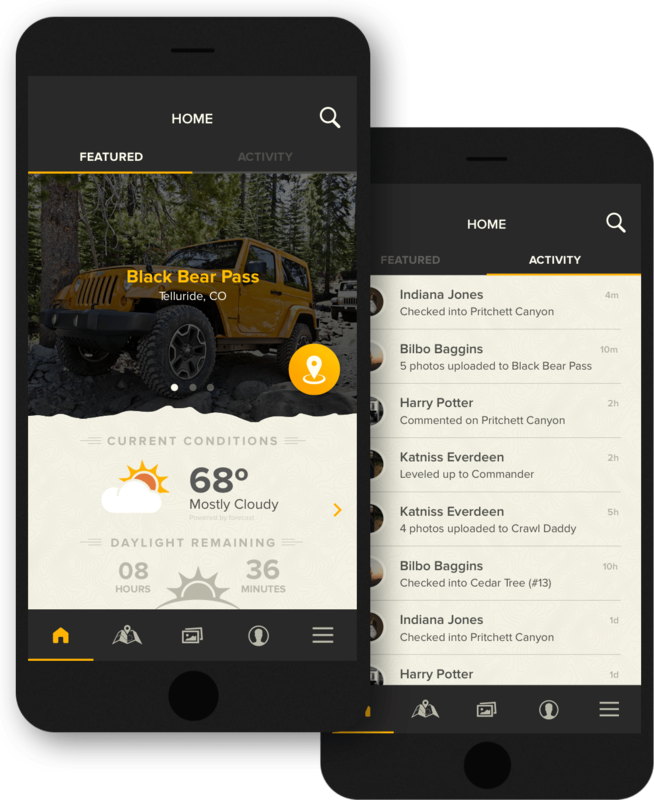 Badge of Honor® is an online social platform for the Jeep® community to find trails, conquer them, and earn unique hard badges to display on their Jeep vehicles. Vectorform was asked to revamp the mobile app with a fresh design and improved user experience. Trails are featured on the home screen based on proximity to the user. They get a quick snapshot of the weather and daylight remaining at the trail and can check-in right away. 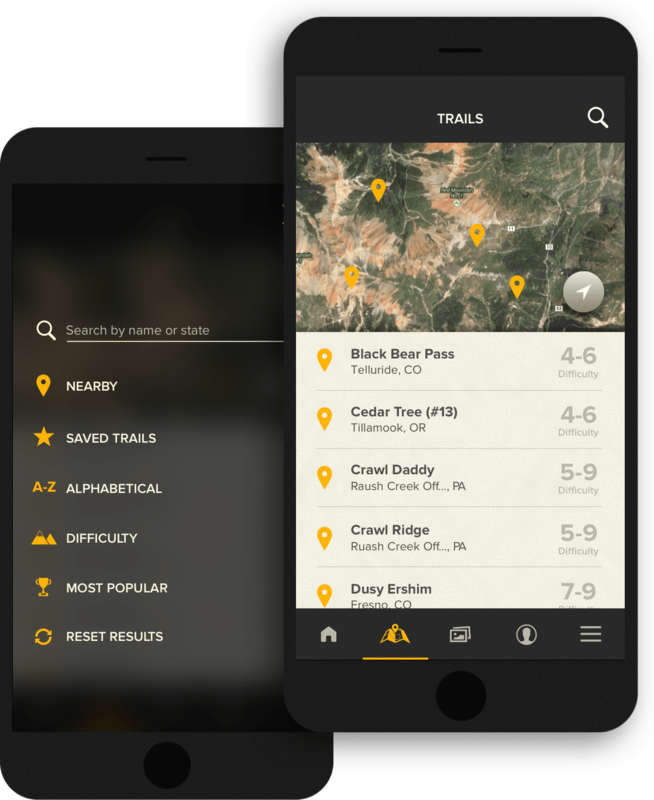 Users can interact with the map and trail list in a natural and fluid way, mimicing the behavior of their native maps app. 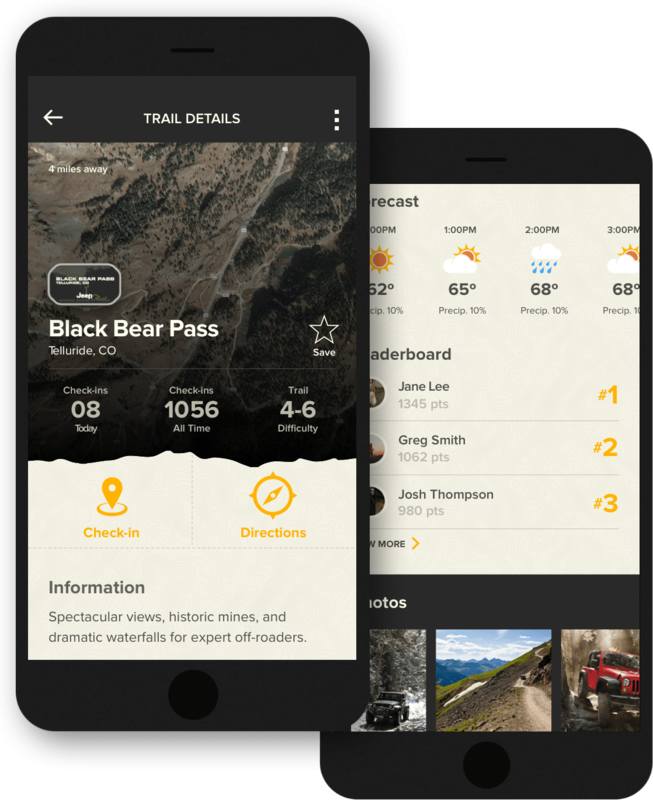 From here users can get trail info, check-in, save for later, view photos, and much more. Users can earn points and rank up by conquering trails and engaging with the community. They can also learn the essentials of off-roading before heading out on the trails.